Knowing your production costs is the first step in helping you build a profitable plant production business. Here are five tips to make sure you are accurately estimating production costs at your operation. This information can be gleaned from your income statement (also called profit and loss or P&L). Direct costs such as containers, young plants, growing media, and labels are easy to account for based on each additional plant unit produced. Overhead includes business costs such as heating fuel, utilities, depreciation, interest, insurance, and marketing. Labor includes wages, health insurance, and other employee taxes or benefits paid by the company. 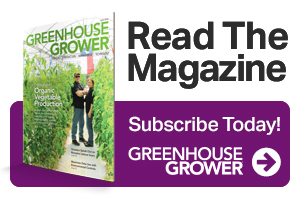 For many greenhouse businesses, direct, overhead, and labor each contribute roughly one-third of total cost. Therefore, if only direct inputs are considered when costing out products, you will greatly underestimate total cost. This results in an overhead plus labor cost per square foot week (sfw). For example, if a company has 40,000 square feet of bench area, which is on average 75% full of plants, in production for 52 weeks per year, then there would be 40,000 x 0.75 x 52=1,560,000 sfw. One million dollars in overhead divided into 1,560,000 sfw gives a cost of $0.64 per sfw, which represents the “rent” that crops have to pay for overhead and labor. For example, a potted geranium that requires 0.5 square foot for eight weeks would use 0.5 x 8 = 4 sfw. With our example of $0.64/sfw (which will differ in each business), that gives a cost of $2.56 per plant in overhead and labor before adding direct costs. This is essential to evaluating how many square foot weeks are actually used during the season. 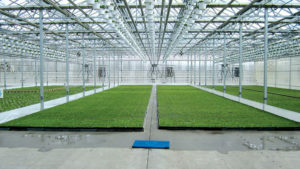 Most growers overestimate how full their greenhouse is, and therefore underestimate cost per sfw. Space tracking also helps to identify opportunities for growing new crops in unused production area. You can track space based on inventory (how many crops you grow each week and their space requirements) or a physical walk-through (going bay to bay each week). Separate categories of space into retail, greenhouse production, hanging baskets, and outdoor field spaces. • Shrinkage — Any reason that crops grown are not successfully sold, for example poor germination, disease, or credits paid to customers for poor quality. As shrinkage increases, production cost rises. • Seasonality: — The peak season may require products to be charged a higher rent for sfw than in the off-peak season. This analysis can make it more desirable to grow long-term crops such as poinsettias in the off-season, and emphasizes the need for quick crop turns during the peak. • Profit centers — Parts of your business such as retail, bench crops, hanging baskets, or field-grown crops that may require different costing approaches or cost levels. For example, space cost may be lower for unheated field-grown chrysanthemums than bench-grown spring bedding plants. per hour. This is important for labor-intensive crops such as producing rooted cuttings, and helps you evaluate return on investment for automation. Beginning June 4, 2018, our team of academics and growers walk you through this process during a four-week course that takes a few hours per week to complete at your own pace, and has ready-to-use Excel files, presentations, and other resources. You will gain the skills needed for accurate costing in your operation. 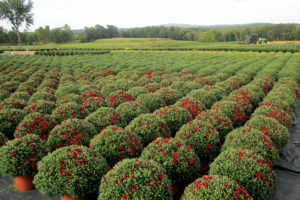 In addition to knowing your production costs, it’s also important to have a good understanding of how effective plant pricing can affect your profit margins. 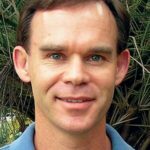 Dr. Charlie Hall, AmericanHort’s Chief Economist, Professor in the Department of Horticultural Sciences at Texas A&M University, and holder of the Ellison Chair in International Floriculture at Texas A&M, recently collaborated with AmericanHort on a series of videos addressing several factors that can affect profit margins. The videos culminated in a webinar in which Hall sat down with business leaders who have made improvements in their businesses as a result of working with Hall on profit margin research studies. The webinar included input from Tom Demaline from Willoway Nurseries, Shane Brockshus from Bailey Nurseries, and Brian Lloyd from Olson’s Greenhouse. Go to AmericanHort’s Knowledge Center website to learn more.